I have a confession to make: I’m taking up a masters course and I’ll also be moving out of the country by the end of the month, which explains why I haven’t been posting as much. I’ve been doing assignments and reports, as well as packing all my things before I say goodbye, to my little city, for good. IT’S BEEN A CRAZY MONTH, I tell you. Elephants – this is what comes to mind when many of us hear “Thailand,” right next to temples and street food. I love elephants; they’re such intelligent and majestic creatures. Unfortunately, these extraordinary traits can’t save them from being used for the country’s entertainment and tourism purposes. Thankfully, there are many organisations in Thailand that have dedicated their full-time efforts to saving and nurturing these acclaimed creatures. And they let tourists help for a day! These said organisations run their facilities in such a way that can help you get close with the animals without having to ride or see them perform. I know how exciting it is to tell your friends that you’ve ridden an elephant. However, elephant sanctuaries bring a more fulfilling experience because, not only can you see the elephants act in their natural environment, you can trek with them and bathe them yourselves! So if you’d also like the option of going the more ethical animal-loving route, please continue on scrolling down. On the very first page of their website, Elephant Jungle Sanctuary emphasises their no riding policy. 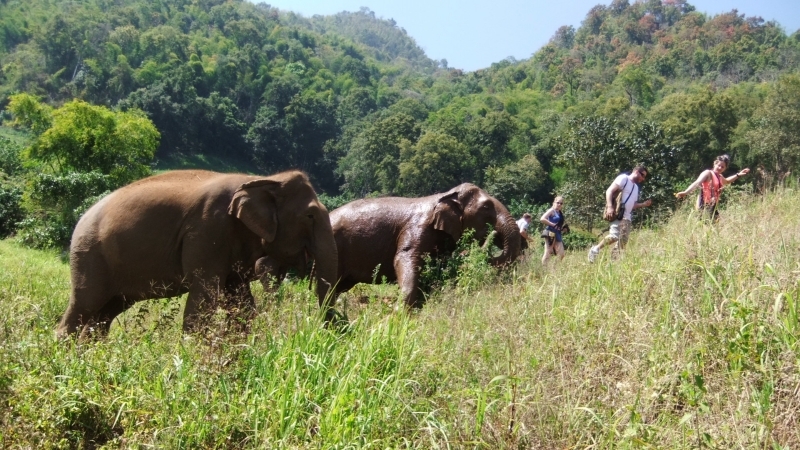 Located about 60 km from Chiang Mai, this sanctuary is focused on taking care of formerly mistreated elephants. They currently have a little over 30 elephants on their watch. 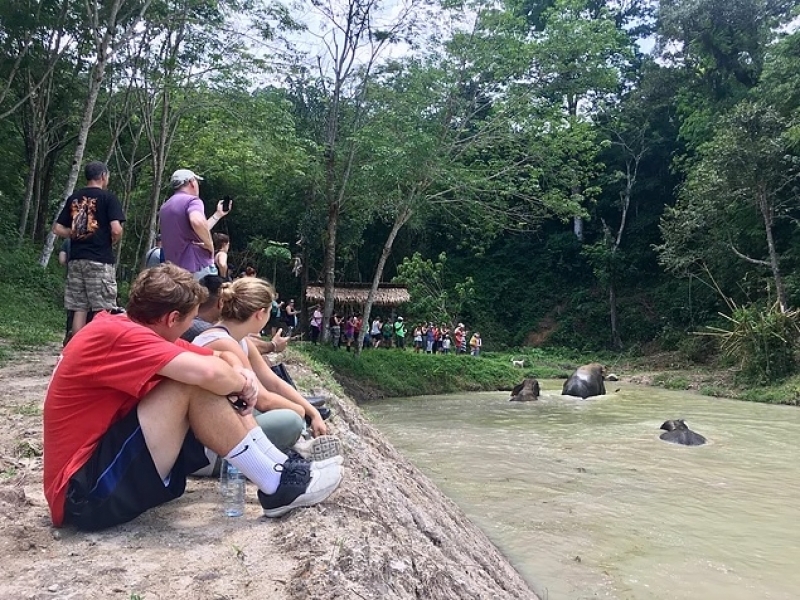 The place offers half day, full day, and overnight visits where you can feed the elephants, give them medicine, and witness their mud spa sessions. Also located about 60 km from Chiang Mai, this sanctuary’s been operating as a rescue centre for elephants since the 1990’s. Alongside these elephants, many other rescued species are also taken care of. Elephant Nature Park also offers elephant feeding, bathing, and trekking in their day’s activities, which are suitable for all ages. For those of you who can’t go up North, Phuket actually has a couple of sanctuaries of its own. The Phuket Elephant Sanctuary calls their preserve as a retirement home for the sick and injured elephants. They work together with the Elephant Nature Park in Chiang Mai, in participating in ethical elephant tourism programs. This sanctuary allows their guests to interact with their elephants for half the day. Bathing and trekking are part of the itinerary, however, people can only observe the animals from the distance, during these activities, since the sanctuary emphasises on “natural” socialisation. Wildlife Friends Foundation not only focuses on rescuing elephants from exploitation, they help every kind of animal affected by deforestation, illegal trade, and pollution. WFFT is constantly looking for volunteers, but if you can’t stay for good, you can help out at their Wildlife Rescue Centre. There they’ll give you a guided tour, let you walk with the elephants, and inform you of their stories. You’ll come home much educated about Thailand’s efforts in saving their elephants. But if you do have time to stay in Thailand and volunteer to help the elephants, BLES is the place to call. 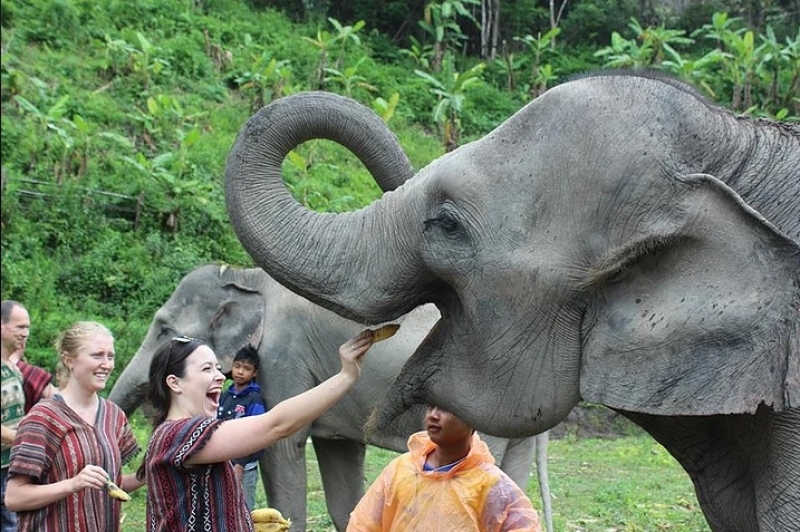 Boon Lott’s Elephant Sanctuary welcomes guests for their homestay program. Not only will volunteers get to feed the elephants, but they’ll actually gather the food themselves. And aside from walking with the elephants, visitors are encouraged to camp with them in the middle of the jungle! Sounds like an enlightening experience to me. So, on your next Thailand getaway, STOP riding elephants and start taking care of them, will you? Really great post, it’s so important to highlight these kinds of issues with animals in Asia so thanks for the tips too! WOW GIRL. You’ve been busy! I am so glad to hear you emphasizing that no one should be riding elephants. So many places that pose as sanctuaries allow riding despite that fact that it’s painful for the animals and requires cruel training before they accept being ridden. Yet so many people are unaware. They will only know if we all keep speaking out to inform them of how bad it is. Thank you so much for doing your bit of good. I really liked the way of writing on your blog. This article is so impressive for the tourist. Try to post best information’s like this always. Thanks for sharing.